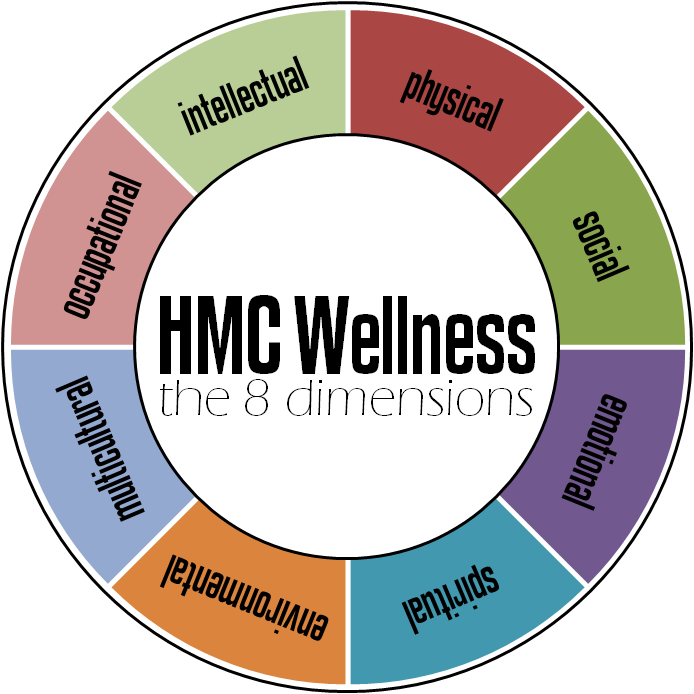 Why do we need wellness? The demand placed on students (e.g., by family expectations, academic pressure, social pressure, identity formation, adjusting to college and life events) may outweigh students’ own coping skills, leading to signs of distress. Therefore, prevention efforts are essential to supplement intervention programs. 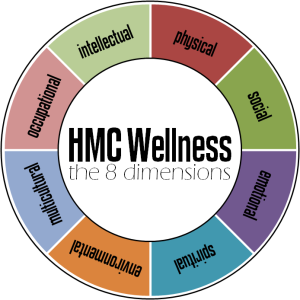 By implementing intervention programs, Harvey Mudd College Wellness aims to prepare students to deal effectively with current and future demands. Engaging in health-promoting behaviors, being attentive to signs of poor physical and psychological health, and taking preventive measures to protect oneself from physical and psychological harm and danger. Creating a support network of friends, family, and colleagues, and thriving in social environments by connecting, feeling belonging, establishing safe intimacy, and contributing to one’s community. Awareness and acceptance of one’s feelings and cognitions, coping with and expressing emotions in a healthy and adaptive manner. Being aware of one’s own cultural background and taking initiative to seeking knowledge about, be respectful toward and sensitive to the cultures practiced by others. Possessing a set of guiding beliefs, principles, or values that give direction to life and open the search for the meaning and purpose of one’s life, and allowing oneself to question and appreciate the things which cannot be readily understood through various media. Engaging in creative and stimulating mental activities that allow one to seek and use new information, become open to new ideas, and be motivated to master new skills. Enjoying good health by occupying pleasant, stimulating environments that support wellbeing; understanding the impacting of your actions on and taking initiative to protect one’s environment. Enjoying personal satisfaction and enrichment in one’s work and seeking opportunities to grow professionally and be fulfilled through one’s work by making use of and preparing skills, gifts, and talents.